Stephen Stiegler and biological scientist Blair Hayman, with the F.F.W.C.C. alligator management program, slowly make their way through thick mud to an alligator nest spotted by helicopter on Lake Okeechobee. 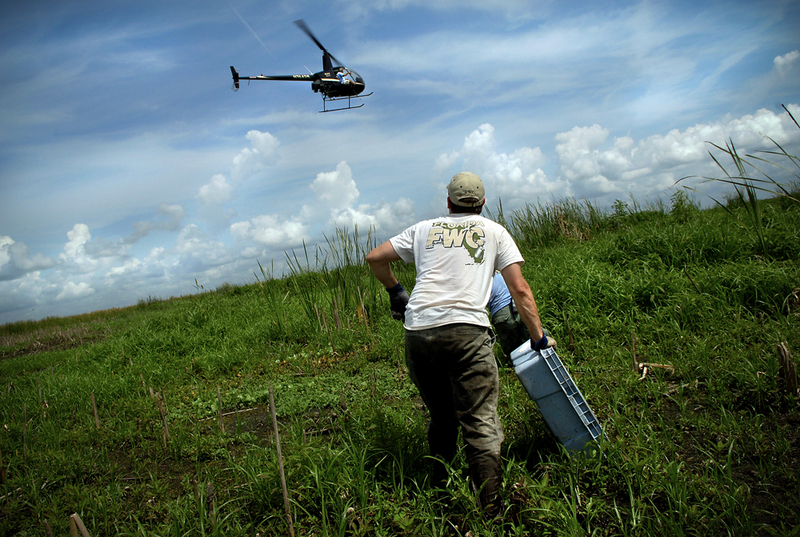 Alligator farmers hire the helicopter to locate the nests for $300 an hour. Once it is found, they radio to one of five airboats and guide them through the marsh vegetation to access the nest. The eyes in the sky also help determine if the female alligator is in the vicinity.